High pigment, high performance, hydrating foundation creates a flawless, radiant canvas that lasts up to 12 hours. Makeup artists love how this award-winning formula feels comfortable on skin while hiding even hard-to-cover imperfections—designed for normal to dry skin. Smooths skin texture and visibly evens skin tone. 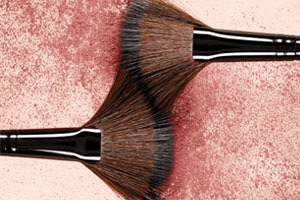 Color-true pigments virtually disappear on skin for smooth, even application and blending. •Ideal for normal to dry skin types. Cyclopentasiloxane, Aqua/Water/Eau, Phenyl Trimethicone, Ethylhexyl Palmitate, Glycerin, Butylene Glycol, Peg-12 Dimethicone Crosspolymer, Shea Butter Ethyl Esters, Silica Dimethicone Silylate, Lauryl Peg-9 Polydimethylsiloxyethyl Dimethicone, Mica, Dimethicone, Tapioca Starch, Isononyl Isononanoate, Polysilicone-11, Magnesium Sulfate, Caprylyl Glycol, Diisopropyl Dimer Dilinoleate, Ethylhexyl Hydroxystearate, Dimethicone/Peg-10/15 Crosspolymer, Trihydroxystearin, C30-45 Alkyl Cetearyl Dimethicone Crosspolymer, Caprylohydroxamic Acid, Betaine, Triethoxycaprylylsilane, Aluminum Dimyristate, Polymethylsilsesquioxane, Disodium Stearoyl Glutamate, Potassium Sorbate, Glyceryl Acrylate/Acrylic Acid Copolymer, Tremella Fuciformis Sporocarp Extract, Serica/Silk/Soie, Sodium Hyaluronate, Phenoxyethanol, Camellia Sinensis Leaf Extract, Cyclopia Intermedia Leaf Extract. May Contain/Peut Contenir/(+/-): Ci 77891 (Titanium Dioxide), Ci 77491, Ci 77492, Ci 77499 (Iron Oxides).